Furniture Refinishing Guide | We have all the best information on finding, repairing and refinishing furniture! 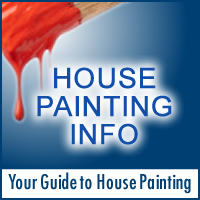 Welcome to Furniture Refinishing Guide! Furniture repair and refinishing is a rewarding process. Old furniture can be an excellent investment. Handmade pieces are typically better-made than their modern, MDF counterparts. If you find an all-wood dresser or desk that’s structurally sound but looks worse for the wear, snap it up! Depending on the starting condition of your piece, you may have very little work to do; just some minor cleaning and repairs (known in the trade as “restoration”) will bring the item back to its former glory. On the other hand, most second-hand furniture has seen extensive abuse. Understanding how to do more advanced repairs, totally strip the piece, and refinish it can help you create a stunning armoire or dining room set for very little money- certainly less than buying new! These pages are designed to help you do just that. Cost and quality may be the main reasons people choose to refinish furniture, but there are other benefits as well. Remember the old adage, “reduce, re-use, and recycle”? From an ecological standpoint, refurbishing old things will always win out over buying new. There are surprising health benefits, too. Glues and finishes on modern furniture can off-gas for months or even years; if someone in your family is chemically sensitive, this can translate to headaches, sore throats, and respiratory problems. By choosing all wood furniture that has had a chance to age, you eliminate this problem. But wait! Won’t refinishing require a whole new crop of irritating chemicals? Not really. Choose pieces that are structurally sound, use water-based glues and fillers (not solvent based epoxies), and choose a natural finish, like tung oil. Want to learn more about furniture refinishing? Browse our site! Whether you need help finding secondhand furniture, evaluating your “new” piece, or stripping the old piece and applying a new finish, we’ve got you covered! Ready to get started? Our furniture refinishing tips will help make your experience more enjoyable!